The Foreign Secretary Jeremy Hunt has said Myanmar must ensure there is “no hiding place” for those who carried out crimes against the Rohingya minority – if it is to avoid “a lasting stain on the country’s reputation”. 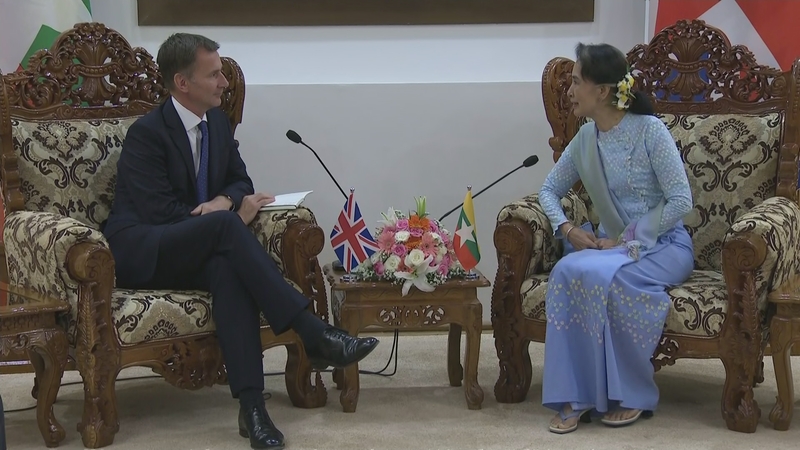 Mr Hunt met the Myanmar leader Aung San Suu Kyi after visiting Rakhine state, from where hundreds of thousands of Rohingya Muslims were forced to flee their burnt-out homes. Our Foreign affairs Correspondent Jonathan Miller reports.